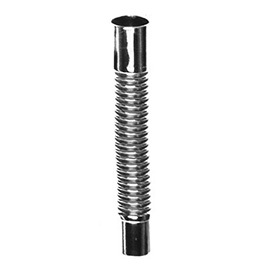 Flexible chrome-plated brass connector with 15mm male by 15mm female ends. Automatically retains bent shape. 4 inches overall length.